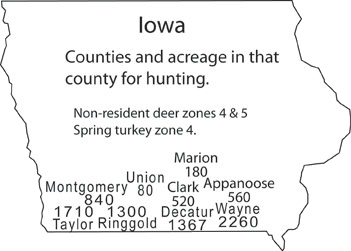 Mid-America Hunting Association has private land Iowa deer hunting leases in zone 4. Association hunters may hunt more than one spot having the entire hunting lease land inventory at their disposal. Most will hunt 2 to 3 spots hard in a week while having 5 or more they would like to hunt. Finding the land and reserving any one numbered farm for the days wanted to hunt it is by telephone to a live person with immediate confirmation. 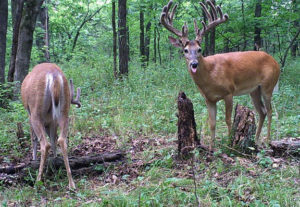 One of many pictures sent in by an Association Iowa zone 4 deer hunter. We do have this quality of trophy Whitetail Deer hunting. However, it is the hunt quality of a good day in the field hunting free of public lands or knock on door free land access mentality that makes for the better hunt whether a tag is filled or not. All hunts are self guided. The break point on the self guided hunt is at the point of where to park the truck to scout/hunt. We get the Iowa deer hunter to that point. From there the hunter makes his own hunt with his own equipment, skill, licensing, meals, transportation, lodging. Lodging is by local motel. A listing complete with meat lockers and tow truck services is provided. All of our Iowa deer hunting land is over grain fields predominately in soybean and corn. 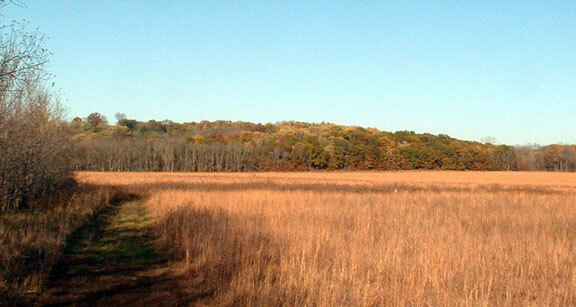 These pictures represent the average zone 4 Iowa deer hunting land we have. Gently rolling. Wooded drainage, wet and dry, cutting through grain field connecting small wood patches. All repeated many times over. The key to our better deer hunts is this land is within the Grand River Watershed, or that region of good grain growing soil. No land is in the hills or cattle county. Hunt quality begins with the land. It is then through the Associations limited hunter pressure. We seek the return hunter each time he has an Iowa deer tag. We have operated since 1965 with many that hunt with us each time they have a tag. 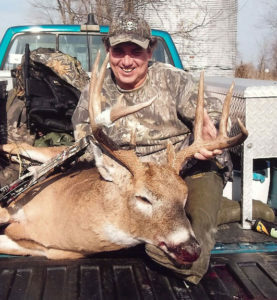 During skip Iowa tag years they hunt the Association’s other states land. There is more to consider. The links below are just the beginning. Call with your questions any day or evening. Our telephone number is at the bottom of each page.